The proposed document may be viewed at the School Board Office, 210 NE Duval Avenue, Madison, Florida. Statutory Authority: 120.54, 1001.43 F.S. Congratulations to Mr. Freddie Lee Williams at MCCS for being chosen as the Madison County School District's School Related Personnel of the Year!!! Beginning January 23, teachers, parents, and students across the district will have an opportunity to participate in the 5Essentials Survey. This survey is designed to generate a detailed picture of the inner workings of your child’s school. As a parent, this opportunity will allow you to share your thoughts on the important elements of school effectiveness in a survey about your child’s school. Prior research has shown that schools that were strong on at least three of these “5Essential” indicators were 10 times more likely to improve student learning gains in math and reading than those that were weak on three or more Essentials. The 5Essentials Survey will be conducted January 23 – February 23, 2018. To take the survey please visit https://survey.5-essentials.org/florida/survey/parent/. Per information received from Emergency Management regarding our anticipated weather, our morning temperatures are expected to be extremely low WITHOUT ice. Schools WILL be open, but please remind students to dress warmly. Riley Browning will represent the District at the Regional Spelling Bee in Jacksonville, Florida. 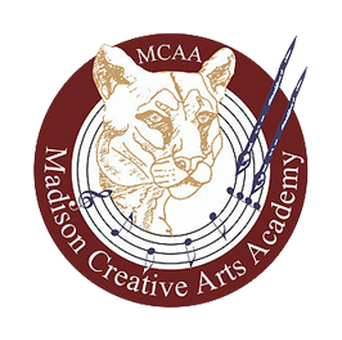 Based on the recommendation of the Community Assessment Team (CAT) the district has chosen the turn-around option of working with an External Operator to improve the instructional focus at MCCS. MGT Consulting Group is the External Operator working with MCCS. This educational consulting firm is NOT a Charter School or Charter School Corporation. The district did not choose the Charter School option for turn-around. MGT personnel will work with the school and district staff in the following areas to improve the student achievement: Leadership Development, Instructional Staffing, Curriculum and Instruction, Assessments, and Professional Development. Statute also required the formation of a Community Assessment Team (CAT) in order to review all school and district data to select the best option for MCCS. The CAT is comprised of community leaders, business leaders, parents and school personnel. Pastor George Williams is acting as chair for the CAT, Pastor Jason Justus is the Co-chair. Other members of the team include: Amy Barfield, Andy Barnes, Tommie Bodenstein, Gladney Cherry, Rene Demps, Emily Dickey, Beth Ebberson, Diane Head, Gwen Hubbard, Annette Johnson, T.J. Jones, Brian Kauffman, Alston Kelley, Ruth Ann Latner, Merv Mattair, Sherilyn Pickels, Mimi Replogle, Gina Rutherford, and Darren Webb. The CAT continues to meet at least monthly and focus on improving three key areas: School/Parent Communications, Community Communication and Public Relations, and Teacher/Staff/Parent/Student/Community Involvement and Morale Building. The CAT has been working diligently to support our schools as they work to improve the education for all students in Madison County. After reviewing all of the data, the members of the CAT decided that the charter school option would NOT benefit the students, teachers, staff, and community. The CAT made the recommendation for the district to enter a partnership with MGT Consulting Group to work with MCCS in order to improve the school grade and student achievement. This partnership will take place over a two-year period. MGT Consulting Group will work as partners with MCCS and district staff in order to improve the school grade to a “C” or higher. In November, MGT Consulting Group provided a contractor to conduct an 8-Step Model to School Improvement Training with district staff, MCCS teachers and administrators. This training included information on steps to increase student achievement on the state assessment and to close the student achievement gap between student groups and to use data and targeted instruction to provide excellence and equity within the school system. On December 6, 2017 the information was given to all of the MCCS staff detailing the plans for improving instruction moving forward. On December 20, 2017 and January 5, 2018, teachers met together to develop Focus Calendars that detailed instruction and monitoring of the education standards being taught. On the January 25, 2018 Early Release Day, the teachers and staff will continue to develop these standards based Focus Calendars. On January 16-17, 2018, the MGT Project Manager will be back at MCCS to meet with tested Grade Level groups during their planning time to review student data and plan instruction based on this data. All MCCS administrators, teachers and staff, district office staff, as well as, community volunteers continue to work diligently to implement improvements at MCCS. Report Cards go home Friday, 1/12/18. (1.) Emergency Health Form - These need to be updated due to the district changing over to a new Student Information System. It is very important that you fill this out and return it to your child's teacher as soon as possible. (2.) MCCS Press Release - This document contains current information on the status of MCCS and the MGT Consulting Group that is working with the school and district to improve student achievement. (3.) Promotion Requirements - Promotion requirements for Kindergarten through 8th grade are printed on the report card for your information. District Offices and School Sites will reopen Thursday, 1/4/18 at 10:00 am. Madison County Virtual School’s Open Enrollment Period is November 27, 2017-January 19, 2018.